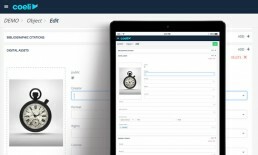 Coeli Cirrus is ideal for publishing heritage collections online. If your collections are already documented in a database, you just need to export them to Excel or CSV format. 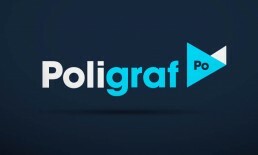 Poligraf is a set of utilities that helps you to connect and enrich your data, linking it to international reference sources. It offers a combination of semi-automatic and supervised processes that seek to link your vocabularies with the main reference vocabularies from the sector. Our offer is clear: we make the proposal, you decide. And don’t lose what you have gained! Once the process has finished you will have the data in simple and easy formats for reuse. Try it now, our tools are available openly to everybody. Import your metadata easily with Excel or CSV files. We provide you with the templates. Upload a folder with images to our server, or provide us with the URLs if you have them online. Once the importation has finished, you will receive a confirmation email with a detailed register of the success of the process. Do bulk additions or updates to your data whenever you want. They will always be synchronised with your original database. For more information about other upload connectors or supported formats, you can contact us. Once you have the data in Coeli you will be able to review, edit and add new content online and publish changes instantly. Update or add more data every time you need it, it will always be synchronized with your original database. We offer a basic web catalogue that will allow you to disseminate your collections from your corporate website as widgets, or a microsite: simple and advanced search, search results with filters by facet that will let you refine your search, and detailed cards with image gallery. With one click select the works of an author, an object typology or a chronological interval. 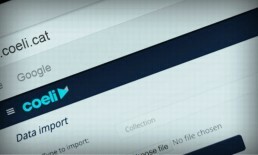 With another click, export the results to Excel, CSV or generate reports in Word with ease and flexibility. Design your corporate templates with all the flexibility that Word gives you and export the reports you need.